This analysis of real estate activity in New River and Desert Hills, AZ (see map below) provides an exclusive view of residential home resales, prices and inventory (see definitions). This monthly analysis, in cooperation with In&Out Magazine, is updated the middle of each month (see overview of all five zones). New River and Desert Hills are both rural communities, with homes typically sitting on at least an acre and often offering fantastic views. Many lots have have ample space for RV parking, and others accommodate horses. There is no HOA oversight. 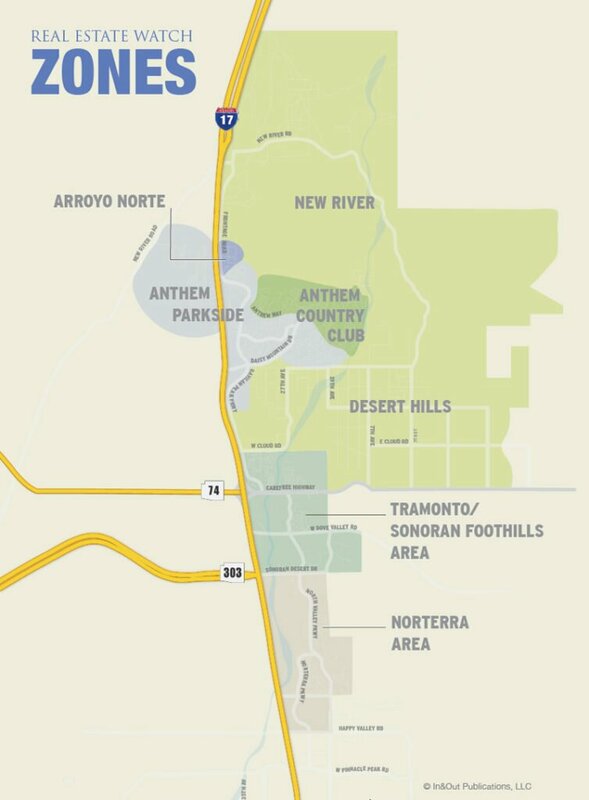 See also our overview of New River & Desert Hills Neighborhoods. 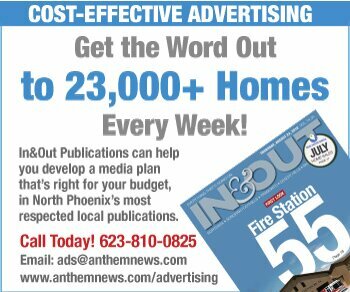 See the latest photos and most accurate information on all homes listed in 85085, 85086 and 85087. Note: The actual price per square foot of any individual house will vary greatly based on many factors including location, upgrades and condition of the property. See definitions of terms below. Real estate sales data is from the Arizona Regional Multiple Listing Service and, while not guaranteed, is believed to be accurate. Average Price of Homes Sold can be skewed by the sale of a single home that is priced well above or below other homes that have sold. Pricing per Square Foot of any individual house can vary greatly depending on many factors, including location, upgrades and condition of the property. Sales Activity represents the number of homes that have closed escrow in the given time period. Inventory represents the number of months it would take to sell all the homes currently listed based on average rate of sales during the previous 6 months, and presuming no additional homes are listed. Less than 6 months is considered a “seller’s market.” As inventory goes down, look for prices to move up. More than 6 months is considered a “buyer’s market.” As inventory goes up, prices will trend down.